Davos: The UAE on Tuesday launched the Emirates Centre for the Fourth Industrial Revolution in cooperation with the World Economic Forum (WEF-Davos). Shaikh Hamdan Bin Mohammad Bin Rashid Al Maktoum, Crown Prince of Dubai is leading the UAE delegation to the global forum in Switzerland. The 4th Industrial Revolution Centre is the world’s first centre to get the forum’s fellowship, and will be managed by the Dubai Future Foundation. The centre is a new addition to the cooperation between the UAE and the forum. Shaikh Hamdan said that he was proud to be leading the UAE delegation to the forum, which began Tuesday, and continues until January 25. 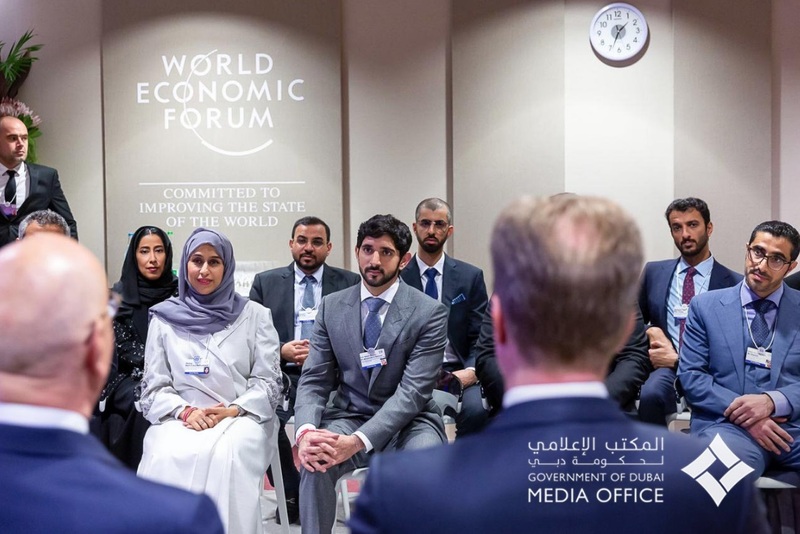 “I am proud to lead the UAE delegation participating in the Davos forum, which brings together more than 3, 000 top officials from across the world,” Shaikh Hamdan said. He added that the UAE is participating actively in the global dialogue that pursues to find solutions to future challenges and explore development prospects for the sake of humanity. 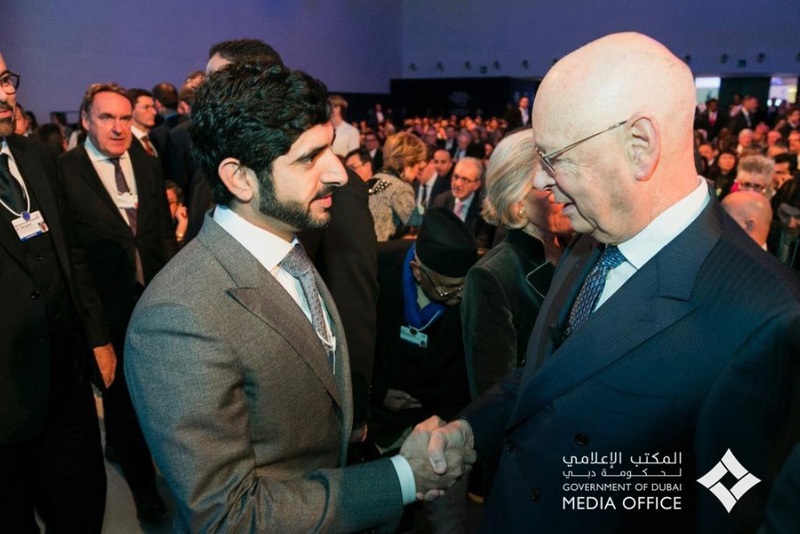 Shaikh Hamdan met Prof Klaus Schwab, the founder and executive chairman of the World Economic Forum, and discussed ways to strengthen the strategic partnership and cooperation between the UAE and the forum. Discussions focussed on adopting future technologies and harnessing the tools of the Fourth Industrial Revolution in establishing a new model for the globalisation of knowledge and innovations that aim to improve the quality of life for communities — and ensure a better future for the next generations. “The UAE adopts a firm approach to strengthen international cooperation and support global efforts that aim to benefit humankind. It is thus essential to support global platforms such as the World Economic Forum that seeks to tackle future global challenges,” Shaikh Hamdan said. He underlined that the UAE’s active participation in the forum reflects the leadership’s directives regarding the importance of strengthening successful international partnerships to build on for community service. Shaikh Hamdan highlighted the importance of the forum as a global platform to develop future directions and visions. Factories, using robots and transactions using artificial intelligence, make communication among the different stakeholders and connected objects in a production line possible, thanks to technology such as Cloud, Big Data Analytics and the Industrial Internet of Things.